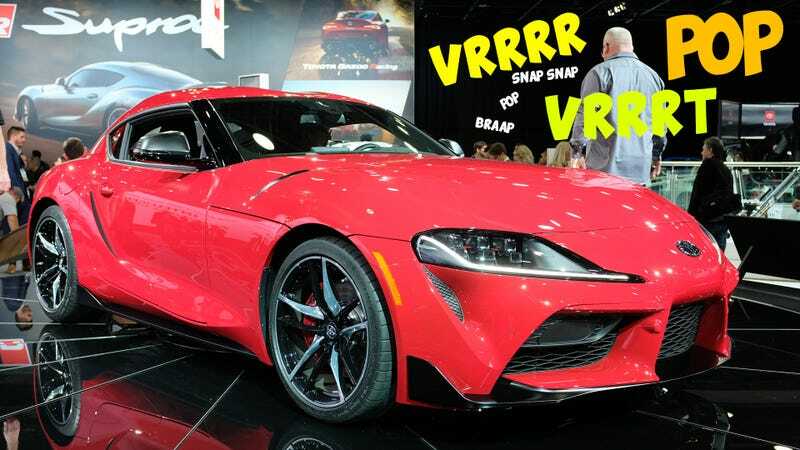 Have we reached a saturation point on 2020 Toyota Supra content? Maybe. But even if you’re tired of reading about the new Toyota sports car, surely you’re not tired of hearing about it. Because the exhaust seems lovely. It’s no V8, obviously, but it’s got a nice high-pitched yell that crackles as the revs drop. I dig it. Lovely. I’m excited the hear this thing in person.